Finally! The Philippine cinema has come up with something distinguishable, something remarkable, and something brilliantly produced after so many years. “Hele Sa Hiwagang Hapis”, or ‘A Lullaby To The Sorrowful Mystery’, is definitely something worth watching and spending money for since it entails a one-of-a-kind portrayal of what could most probably have been after the tragic death of Andres Bonifacio (Matt Daclan) that sadly, many Filipinos don’t even think about. It is basically about the desperate and upsetting 30-day search of Gregoria de Jesus (Hazel Orencio) to find the missing corpse of her husband, Andres Bonifacio, in the mountains. In fact, the movie’s plot appears to be a sequel of Jose Rizal’s famous novel, “El Filibusterismo”, since the characters Simoun (Piolo Pascual) and Isagani (John Lloyd Cruz) in the film are actually the same characters featured in the said novel. Although “Hele Sa Hiwagang Hapis” has not yet been shown in the Philippines, it has already joined and won the Silver Alfred Bauer award at the 66th Berlin International Film Festival. The festival’s jury president, Meryl Streep, even quoted that the film has what it takes to “rearrange the molecules in her brain”. And it’s good news to the Filipino fans because the movie will be finally shown in selected cinemas in the country on March 26, 2016. 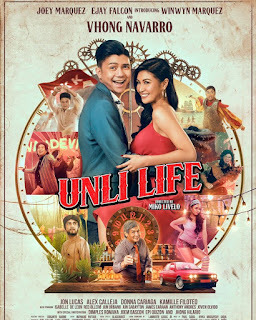 One thing that makes this fictional fantasy-drama movie highly notable is its total running time of 8 hours – something many Filipinos and many other stereotypical moviegoers are not used to. Other than John Lloyd Cruz and Piolo Pascual, “Hele Sa Hiwagang Hapis” also stars some of the top-caliber dramatic actors in the Philippines today, including Sid Lucero, Alessandra de Rossi, Ronnie Lazaro, Susan Africa, Angel Aquino, Bernardo Bernardo, Cherrie Gil, and many more. Award-winning director, Lav Diaz has indeed successfully made this exceptional material come to life with the help of these prominent actors of the Philippine Cinema.